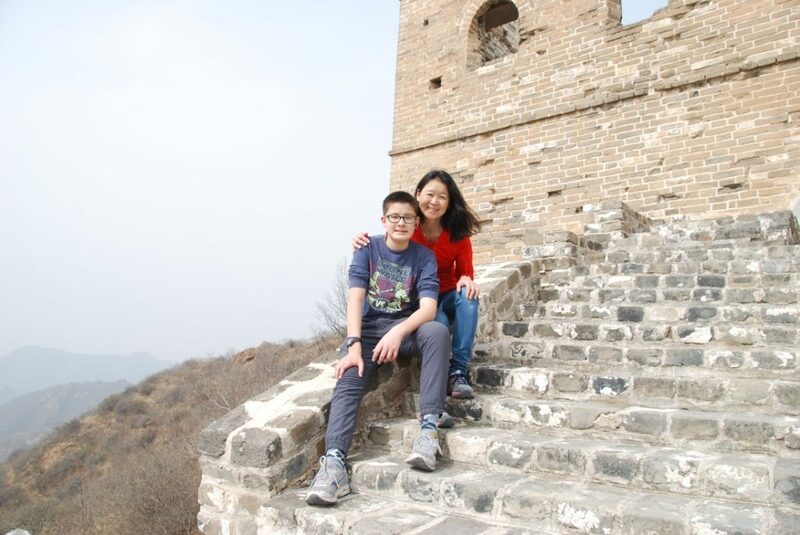 We planned to meet Michael, our friendly Beijing guide, in the lobby of our hotel on Tuesday, March 27 at 8:30 am. That meant we had to get up early to take advantage of the big breakfast buffet in our hotel. What I learned in China is that Chinese people love to eat. Breakfast is dim sum both sweet and savory, omelets, waffles, salads, breads, cakes, potatoes, lots of meat, wonton soup, noodle soup, fruit and vegetables without their peels, fried rice, and on and on. The boys came down with only a little time to eat so I told them tomorrow they should make a point of having a more leisurely breakfast. We’re going to the Jinshanling area of the Great Wall. 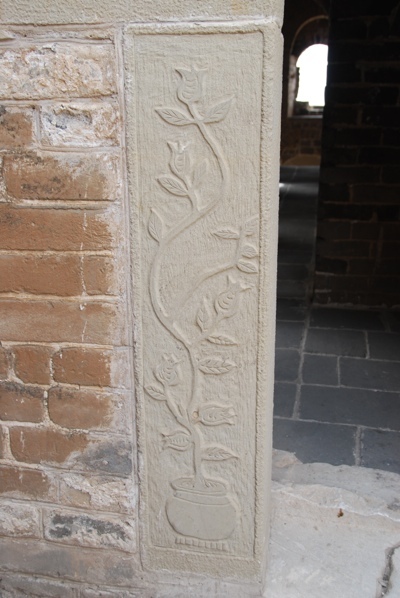 This is one of several entry points onto the wall, but not the most heavily visited. 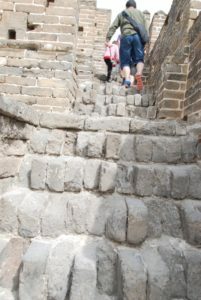 The most famous and crowded part of the Great Wall is the Badaling section because it is closest to Beijing proper and has been nicely refurbished. I think it takes about 50 minutes to drive there. When famous dignitaries come to China they go there. I think there’s even a McDonald’s at Badaling. We drove farther on to Jinshanling where the trail is less visited, especially in low season. It took us just under 2 hours to get there. 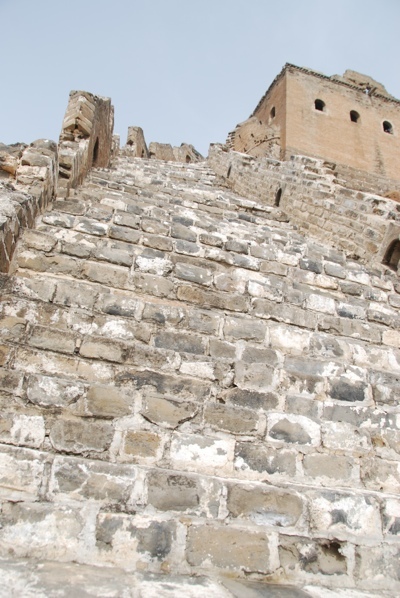 The Great Wall is actually a lot of sections of non-continuous wall spread across the country and built at different times in history. 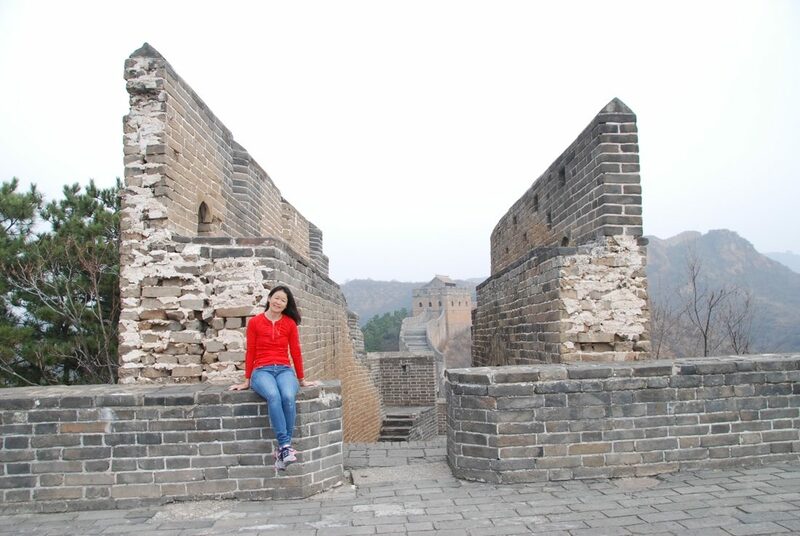 Much of the current existing wall was built during the Ming Dynasty. 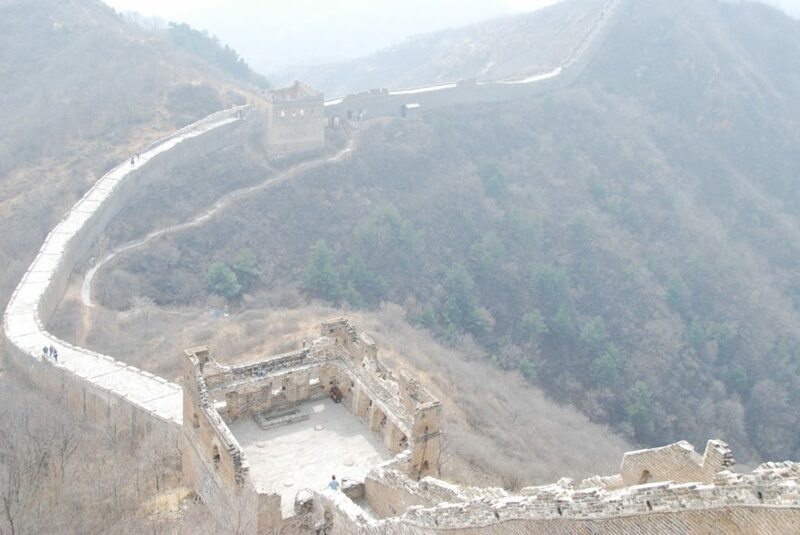 It was built to keep out the Mongols and any other invaders from encroaching on China. 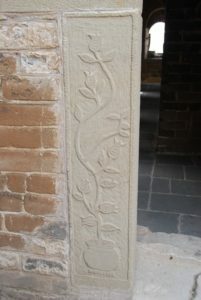 This part of the wall is largely in its original state. 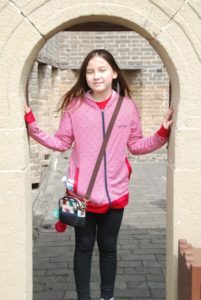 We climbed up rocky, crumbling steps, very slippery steep slopes and amid crumbling ruins in some parts. I mentioned in another blog post about the terrible air quality in China. Between pollution and sand storms, it made my photos look gray and drab. But this is really how the colors looked first hand too. We didn’t see blue skies and deep green foliage and colorful flowers here. 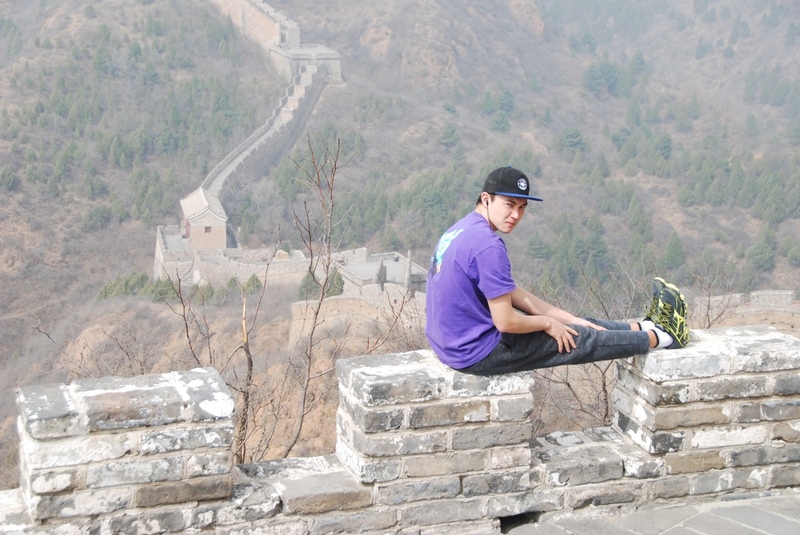 Michael said he takes tourists to the Great Wall about 2 times a week. 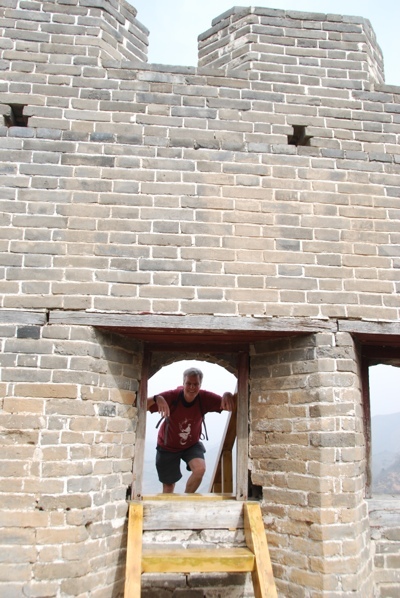 I asked him how many times he comes to the Jinshanling area and to do this 10 km hike that we are doing. He said only about 4 times a year! Most tourists want to go to Badaling or Mutianyu, which are easy and for the less adventurous I guess. My kids didn’t know there were other options. Michael did give us the option to take a cable car up the mountain and cut off about a third of the hike. But we declined! While climbing up the steep parts of the wall I kept thinking about the Chinese army having to run up and down the wall defending their positions. Some parts were slippery. I can’t imagine running around in heavy armor and weapons up and down the steep slope. This part was straight up! Here we are at the end! 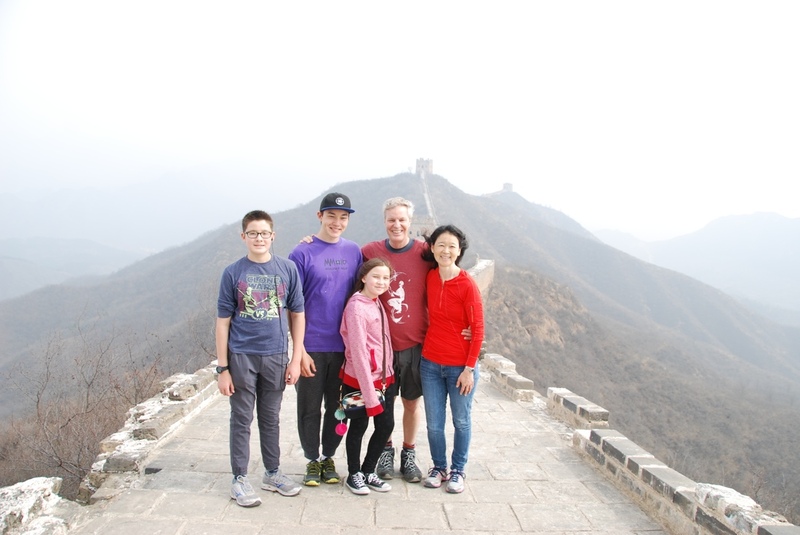 We made it 10 km across the Great Wall. I believe that equals 6.5 miles. It took us 4 hours with a lot of stops for photos. Some of it was a real stair master workout and some of it was so steep I felt like falling backwards. 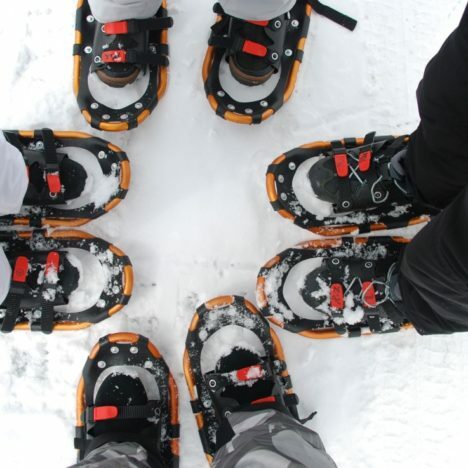 Some of it I had to walk on my toes for traction. Halyard said it was all the same after a while. But I didn’t think so. 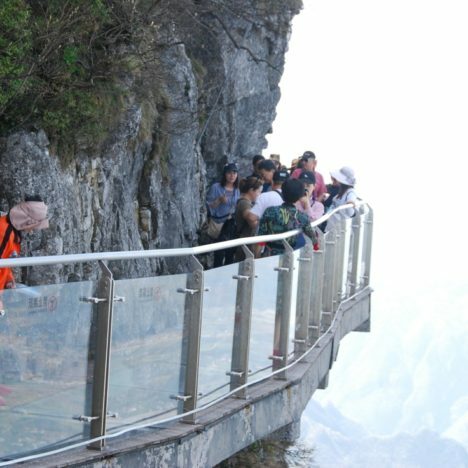 I thought every step of the way was incredible and really just mind-boggling ingenuity. After we reached the last watchtower, there were 2 ladies with a table of snacks and drinks set up. We bought the last 2 Cokes and shared them. We bargained them down to about $2.25 USD each I think. She was giving us the guilt trip about how she had to carry everything up all that way to set up her table there. 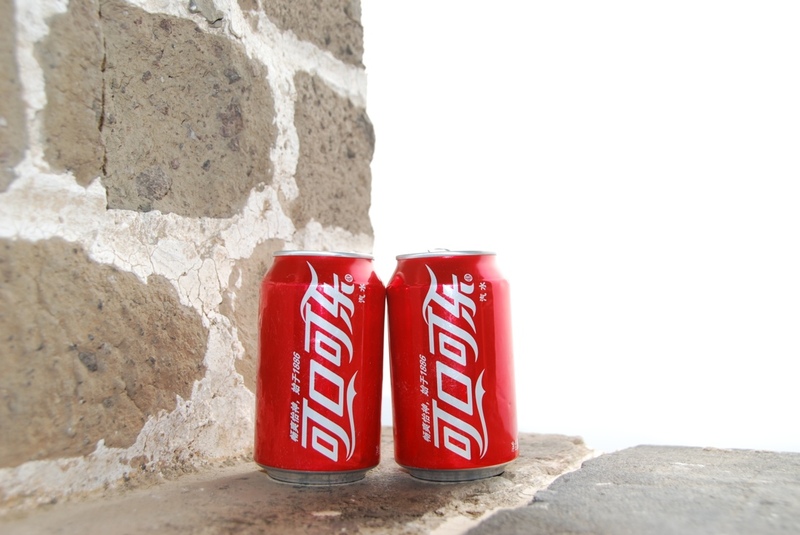 Here’s what the Chinese Coke cans look like. Yay for accessible trash cans. 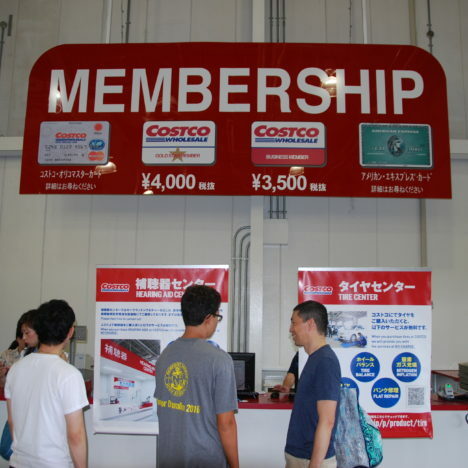 They are easily spotted in China, unlike in Japan. These trash cans on the wall have the cute ridges on top to emulate the wall. Nice touch! 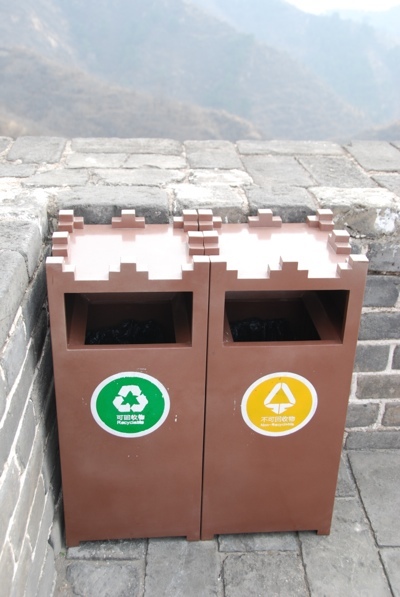 In China there’s always a recycle bin and regular bin side by side. But it seems like the people rarely separate their recyclables from their regular trash. It felt like 30 minutes for us to walk the path back down to meet our driver. Walking that far on the Great Wall felt like a great accomplishment. 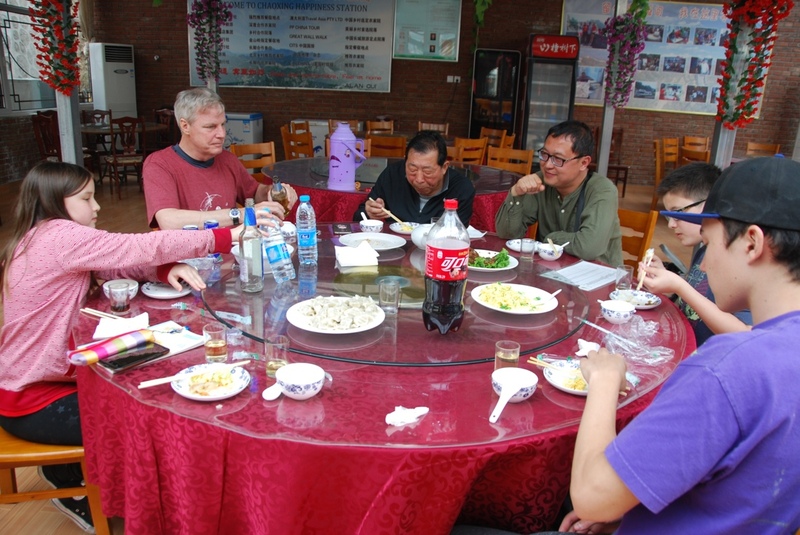 Afterwards we all ate lunch together at a nearby local restaurant. Michael ordered everything for us and it was delicious! 6.5 miles wow! That’s a lot on flat ground let alone stairs and hills. Good for you! Looks like nobody else around too so that’s an even better experience. This is so incredibly awesome you guys! And something the Griffs would definitely want to tackle someday. Good job passing on the cable car, Freyders are adventurous. Could you feel the pollution in your lungs? This was April so after the winter months is this the best “air quality” and best time to visit? I can’t imagine doing it in the heat of summer. I can see why you thought our Troncones photos were so colorful Amy. What a stark contrast from where we were down in Mexico. I heard that it is not good to drink tea in China because the tea leaves are laid out to dry outside and the pollutants are absorbed. Is that true?